Organiser: The contest is hosted by IIT Indore. Registrations for prizes: Register on www.euristica.in to be eligible for prizes. Please contact cse170001025@iiti.ac.in for any queries during the contest. 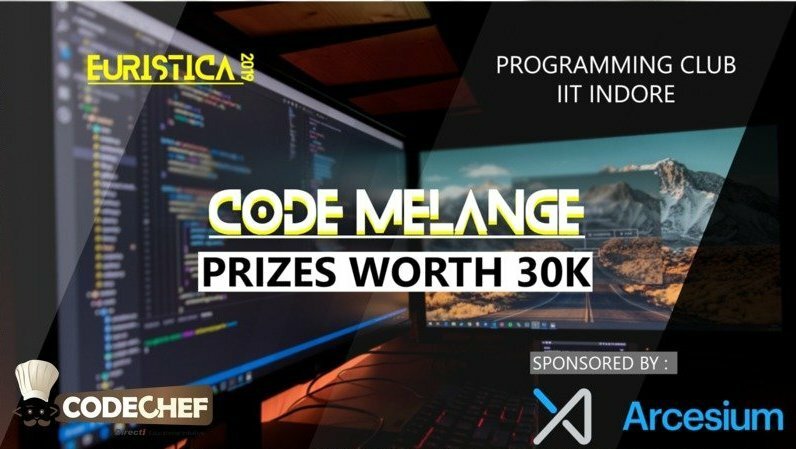 The Code Melange (Rated for all) contest has ended! The ratings for this contest will be calculated once April Long Challenge gets over.